Dr Greg Deleuil is an unusual GP. He joined the Army reserve as a civilian doctor and often found himself treating the army divers. Through this experience he gained expertise in diving medicine and became skilled at lung function testing. Just down the road from his surgery in North Perth was the headquarters of the Asbestos Diseases Society and he soon came to the attention of its director Robert Vojakovic. The ADS started referring to him people affected by asbestos-related diseases, beginning a relationship that has now lasted for over a quarter of a century. In 1995 the Asbestos Diseases Society sent Dr Greg Deleuil as their delegate to the World Mesothelioma Conference in Paris. Six weeks after his return his mother was diagnosed with the disease. Dr Deleuil’s knowledge of asbestos-related diseases is more than academic. In 1996 his mother died from mesothelioma and this gave him first hand experience of the full impact of the disease on both sufferers and their families. 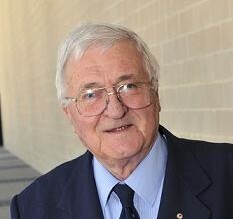 His work and dedication have given him a special place in the history of asbestos-related disease in Western Australia.